Located along the rugged coastal bluffs of Pacifica, Mori Point is home to 110 spectacular acres of coastal scrub, grassland, and riparian habitats, sweeping seaside panoramas, and abundant spring wildflower displays. The site is also a refuge for threatened California red-legged frogs and the most endangered land reptile in North America—the San Francisco garter snake. A history of intensive recreation had taken a heavy toll on Mori Point prior to the National Park Service acquiring the site in 2004. A large network of informal trails crisscrossing the hillsides had eroded its soils and changed the natural flow of water into the wetlands below. Invasive plant species had permeated important grassland and wetland habitats. In 2007, the Golden Gate National Parks Conservancy teamed up with the National Park Service to repair this past damage, restore critical habitat, and improve the overall trail system and the experiences of park visitors. Although the initial restoration is complete, the Conservancy’s Park Stewardship Program continues to engage thousands of students and community volunteers in Mori Point’s long-term care and protection. Each year they plant thousands of native wetland and upland plants and remove countless invasive plants, monitor endangered species, and continue the restoration of this spectacular landscape. 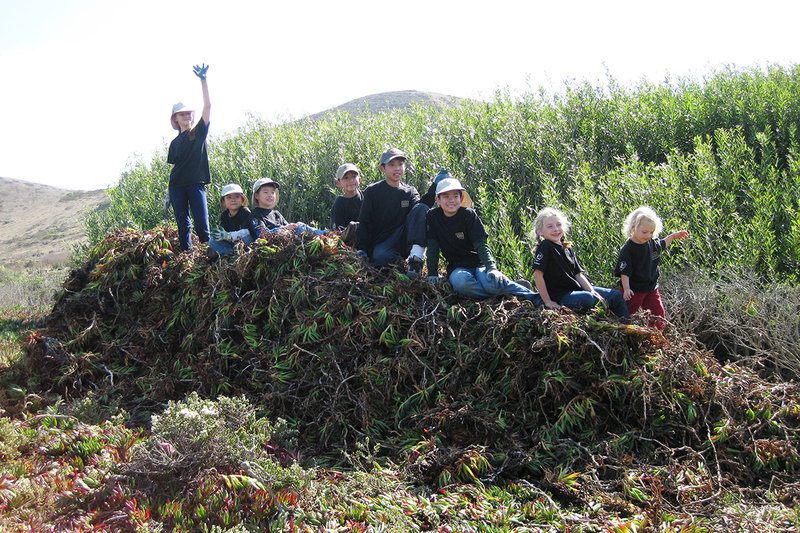 Learn more about how you can join the effort to restore Mori Point.